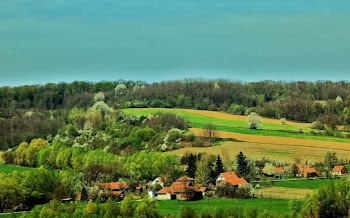 As we near late winter at the tail end of this February and approach early hints of spring, it might be a good idea, to address something full of nostalgia with a touch of wonder thrown in. Let's take a moment to have a look at old winter experiences from days of yore. Our winter days could possibly appear even more homey and archaic and dear to us than the great hot summer months were then. It's just that way, you know. I want to catalog a handful of these habits formed 40, 50, and going back with the older fellows and gals, as far as even 60 years ago. Simple times, comparatively speaking. A brief documentation is in order. The Solstice is long past, as is the Christmas Season and New Years celebrations. The further back one goes, the more of a solemn time for folks in many lands to watch the sun ride lower in the sky and the nights grow longer as winter began to grasp with it's chilling fingers and iciness. Anciently, these months were filled with superstitions all their own which we won't be cataloging here, although the holidays of the Middle Ages were wont to have much wild merriment mixed in of a sort hardly to be experienced from the late nineteenth century onward into our own times. Mud puddles were a serious form of amusement for kids back then...can you believe that? You would if you were over 30 or 40! They were almost like mini ponds for small children and held a certain fascination of young children on very wet days. Splash! Ice skating, often not in the way you might suppose, but you could call it 'sidewalk' skating if you wanted to. We use to go out in freezing weather down own past our house which was on a long incline, when they didn't use salt so much, you could slide and ride it out carefully, perhaps for 50 to 75 feet! Yep. It was always a bit of a contest with my brothers and the neighborhood kids to see who could make it the whole way the most times without falling or leaving the icy pavement. Snowmen. Oh my first ones were so special, probably only to myself. I half expected them to come to life before they started to wilt and melted in a few days time when the sun would peek out of the clouds. 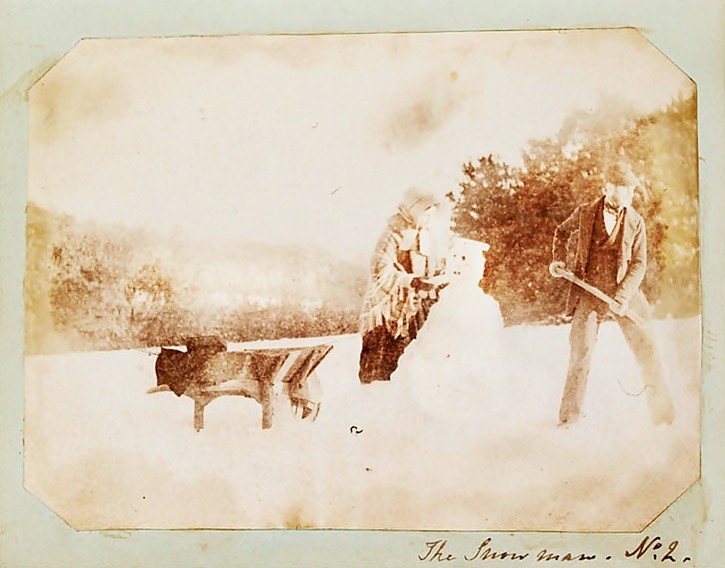 To manufacture a proper snowman, beyond the three large snowballs rolled out and carefully placed on top of each other, was a bit of an art form. Buttons, preferably old ones from defunct, worn out jackets; an old cap, a worn broomstick, branches for arms and hands; Frosty' cousin, indeed. Coal was used from our furnace for eyes and mouth, a scarf maybe from my Mom, a carrot to form the nose and all. Building igloos. An occasional pastime of amazing proportions, at least from a child's perspective. We could just do it naturally. You had to be there and many of us were just inventive kids. No video games, no smart phones. We wouldn't of known the point in having one. 'Bundling up' was a process carefully thought out, usually by a mother or father, sometimes an older sibling, or even an aunt or grandparent. The rundown could include the following: various layers of shirts and sweaters, occasionally turtle necks; a hat or cap with ear muffs, a warm coat with good lining; galoshes, the kind with the big old buckles; maybe a pair of long johns too. My grandmother was somehow usually nearby to offer her assistance. That's the way she was-special. I would bet some of you can certainly relate to that statement. Speaking so much of snow, snow ball fights or battles were a frequent release of pent up energy. Often these were planned out with a wall to hide behind, usually as I recall, this was a projection, a few feet high, of packed snow. The nastiest snow balls for throwing were made of a combo of snow and ice and packed a real wallop when hit directly with one. Sled Riding. We use to take out the 'flexible flyer' which we usually laid down on. I had one that was painted green. Steered with the wooden cross beam, they had thin metal runners on the bottom, best in hard packed icy snow. They were first patented in New Jersey by one Samuel Leeds Allen. Sadly, most are now made, where else? In China. But they do still exist, my friends. I was once considered a bit of a hero when I was about nine years old for taking my sled down a place above our home on the local farm called Death Valley. Pretty much where no kid had gone before. What fun, and the bold adventure was palpable in the back of my little mind. I had trouble slowing down and knocked a chip out of one of my teeth on the rocks near the end of the cliffy area down where there use to be a run off from the few springs up there. Well, although I wasn't badly hurt, there was a lot of blood and my friends proceeded to carry me off laying up side down and took me home. Some things you never forget! 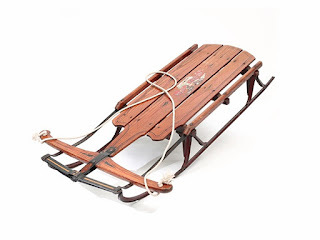 What kind of sled did you own? Did you have any interesting stories to tell too? Christmas trees: Real ones, of course. My Dad would get all excited, eventually upset getting it in the door and all to where he would mutter under his breath. Putting the shiny icicles on the tree was great fun. Kind of a family tradition for many people. God, what fantastic times. Not that it isn't always nice to be a child in our great country, but those really were extremely exciting days to be young. Of course, before my time in the very old days there were sleigh rides and toboggans. They still have them at special occasion some places. 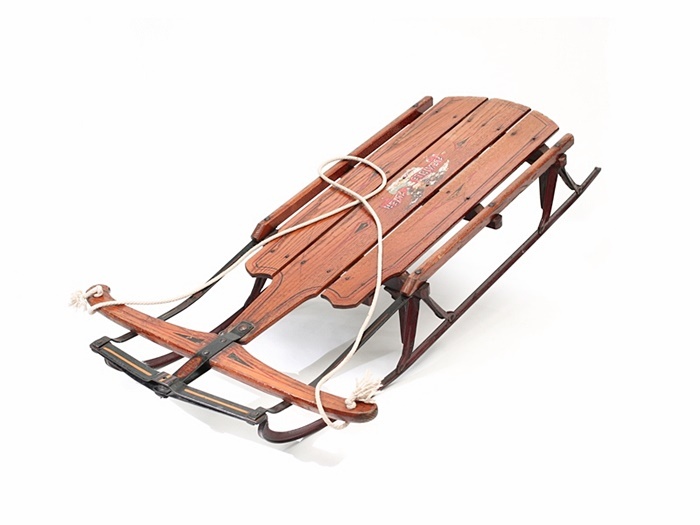 The toboggans were rather very simple sleds that had to have a rope for rough steering with room for a certain number of riders. There were also sledges, small vehicles used in snow that you could sit on. Now people are more into skiing and snow mobiles. Thanks for letting me share a bit of my childhood and a gander at the way winters use to be spent. I hope you enjoyed the look back to the past. If something was missed, please let me know!